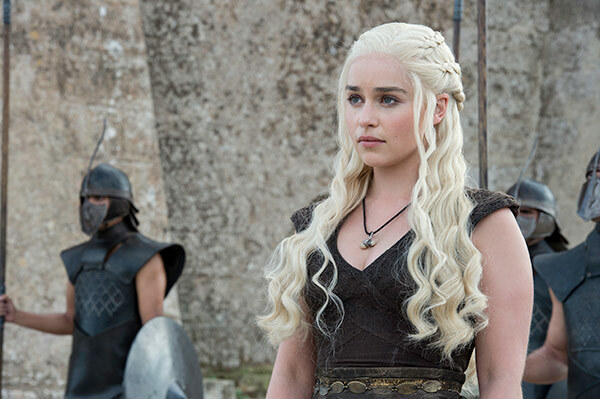 Game of Thrones‘ most heavily anticipated meeting ever will take place in season seven. The popular fantasy series will be bringing together two fan favourites for their first ever meeting on screen, despite both characters appearing prominently in every season of the show so far. It’s safe to say from this point onwards: SPOILERS ABOUND. SPOILERS EVERYWHERE. Still here? Well, we warned you. 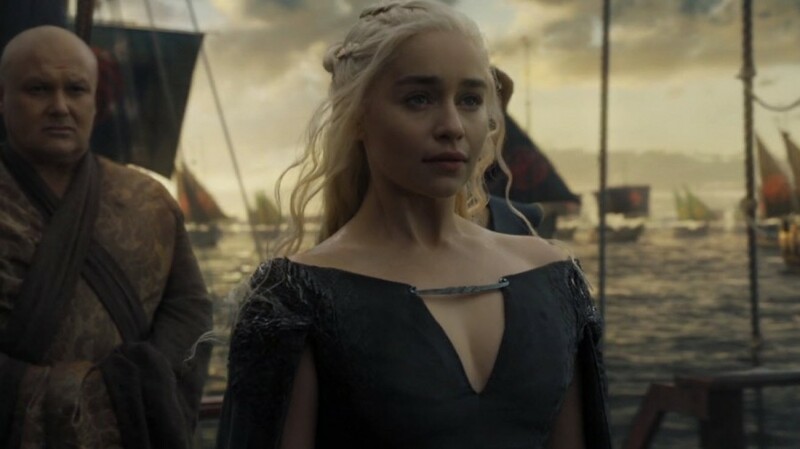 Game of Thrones fansite Watchers on the Wall has photographic evidence of a meeting being filmed between Queen Daenerys Targaryen and King of the North Jon Snow in Gaztelugatxe, Spain. Can we say WOW? We’ve been waiting for this moment since forever! The photographs have been taken from quite a distance, but the Mother of Dragons is instantly recognisable from her stature and mane of white-blonde hair, while the King of the North is clear from his typical fur attire and man bun. The two appear to be conversing alone in the photographs, fuelling rumours that they may form an alliance against Mad Queen Cersei Lannister and/or Euron Greyjoy and his fleet of ships. Season six ended on a high for both characters, after Daenerys successfully destroyed the Masters’ rebellion and got a one-way ticket to Westeros while Jon beat Ramsay Bolton at the Battle of the Bastards and was subsequently named King of the North. Unknown to Jon, it was also revealed that he is the son of Dany’s brother Rhaegar Targaryen, and thus has a claim to the Iron Throne in his own right. It is not clear whether Dany or Jon are aware of their family link at the time of their discussion in the photographs, however. At a fan event in 2014, A Song of Ice and Fire writer George R. R. Martin asked Jon Snow actor Kit Harington what he thought would happen if Jon and Daenerys ever met. We can’t wait to find out which one of the two it is! Game of Thrones returns to Sky Atlantic in summer 2017.